Environmental News Network - Why Do Beaked Whales Return to a Navy Sonar Range Despite Frequent Disturbance? It’s the Food. 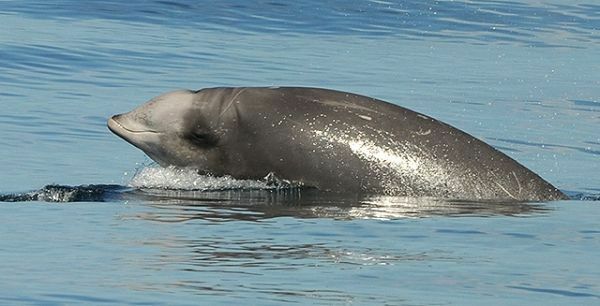 Why Do Beaked Whales Return to a Navy Sonar Range Despite Frequent Disturbance? It’s the Food. Using data from underwater robots, scientists have discovered that beaked whales prefer to feed within parts of a Navy sonar test range off Southern California that have dense patches of deep-sea squid. Using data from underwater robots, scientists have discovered that beaked whales prefer to feed within parts of a Navy sonar test range off Southern California that have dense patches of deep-sea squid. A new study published in the Journal of Applied Ecology, shows that beaked whales need these prey hotspots to survive, and that similar patches do not exist in nearby “sonar-free” areas.